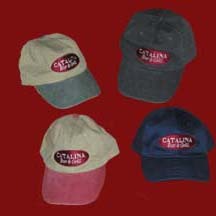 Four different design hats with Catalina Bar & Grill logo. Available in one-size-fits-all. 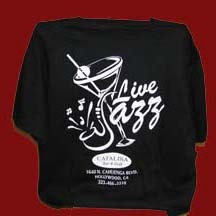 Black, White and Burgundy 100% pre-shrunk cotton t-shirt with Catalina Jazz Club logo on front and on back.. Available in Medium (M), Large (L), Extra Large (XL) or Double Extra Large (XXL) sizes.